Campus Infotech, is a pioneer in Software Industry with high-end training and the finest technical work force, global alliances with the commitment to offer the best blend of technologies and skills to make an individual competitive and confident. We have proven excellence in both the Corporate and Retail Training sectors. Campus InfoTech the leader in I.T Training for over 9 years, offer global certified training & Certification to I.T companies. A record over 2000 Placements & 250 corporate training in various technologies in MNCs & Corporate provides a testimony to our strength .We have Internationally Certified Trainers. The retail centers have futuristic learning, virtual real-time classroom. We provide industry endorsed curriculum. 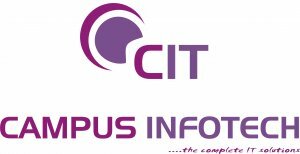 © Campus Infotech., all rights reserved.